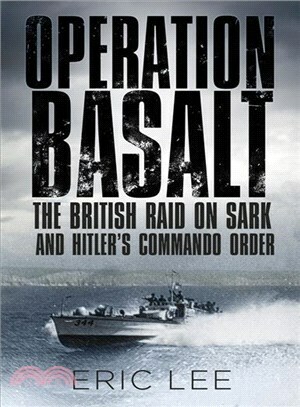 Operation Basalt was a raid carried out by British commandos on the island of Sark on the night of October 3-4, 1942. It was intended to serve several purposes. One was to reassure Channel Islanders that they had not been forgotten following the German occupation of July 1940. Another goal was to force the Germans to deploy ever more resources to defend the islands. Finally, the British were keen to acquire intelligence through captured German prisoners. The raid itself was a tactical success. A German prisoner was captured, several more Germans were killed, and all the British soldiers returned safely to base. Nevertheless, the raid remains mired in controversy. It is remembered because of Hitler’s reaction. Only three days after the raid, he issued this order: "In future, all terror and sabotage troops of the British and their accomplices, who do not act like soldiers but rather like bandits, will be treated as such . . . and will be ruthlessly eliminated in battle, wherever they appear." Using the National Archive in Kew and the Sark Society archives on the island, Eric Lee tells the Basalt story for the first time. Did the commandos kill bound and unarmed German soldiers? Eric Lee is the author of Saigon to Jerusalem: Conversations with Israel's Vietnam Veterans, "a significant presentation of the Vietnam conflict from a rare perspective" (Vietnam magazine). He served 11 years in the Israel Defence Forces reserves in a combat unit. He has written many articles for Modern Combatand other magazines.